Adiante Franzoon is a Saamaka tribesman from Suriname. 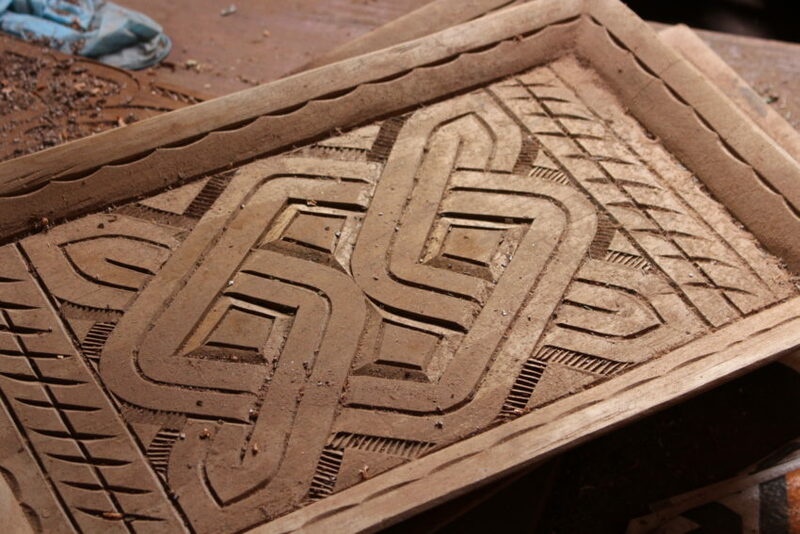 He’s the last remaining woodcarver who’s carving the way his ancestors—escaped African slaves—did hundreds of years ago in the dense tropical forest of the South American country. 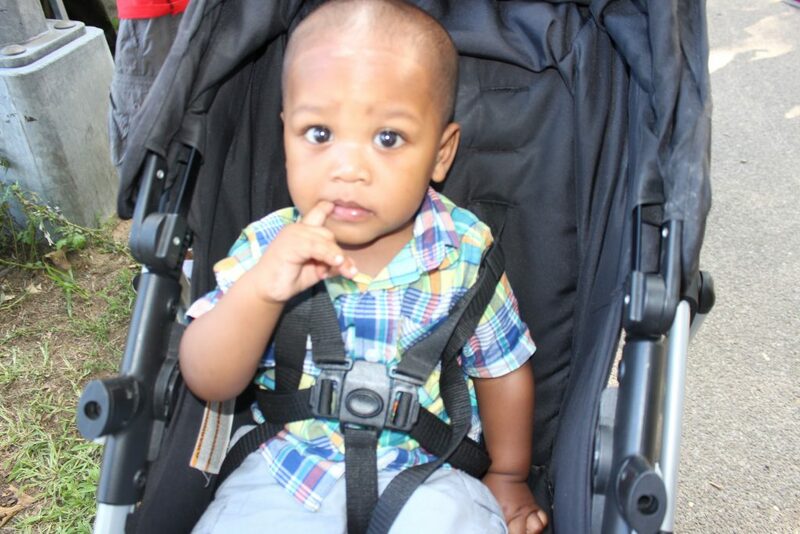 Adiante Franzoon is practicing authenticity in an ever increasing inauthentic world. To learn more about Franzoon or to purchase one of his pieces click HERE. 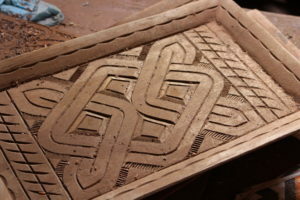 This entry was posted in Archives and tagged adiante fransoon, baltimore, culture, saamaka, suriname, woodcarver on December 21, 2018 by jlenoir. Ceremony, rank, pedigree, membership of a noble family, values and culture are the statements behind family crest’s, tribal totems, coat of arms and all forms of heraldry. 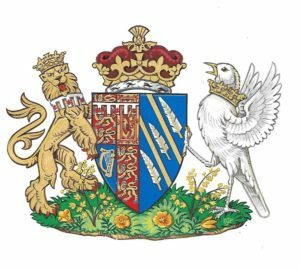 Duchess of Sussex Meghan Markle and wife of Prince Harry had the distinct privilege to design her own crest or coat of arms when she became a member of the British royal family. This is significant. Here’s why: The practice of this tribal symbolism and identity dates back to the cradle of mankind. A crest is the emblem of a clan or tribe. Although Markle being biracial, a divorcee from America or any other ridiculous disqualifier one may add, shows significant progress as it pertains to tolerance and acceptance at the highest level of society’s totem pole. Creating her own emblem highlights the personal but also our collective legacy as black people. 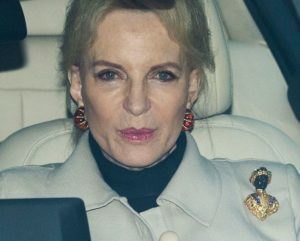 Royalty is not new in African culture but Markle joining the British Royals as a member of their family is progress we can all support, unless you’re a racist witch like Princess Michael of Kent who wore that awful racist brooch to have lunch with Markle. Her statement, using a brooch like First Lady Melania using a jacket, spoke loud and clear. Although history points us to the medieval times when knights personalized their shields with a coat of arms, the practice actually goes even further. Europeans aren’t the only ones who personalized their clan, family, unit, position or tribe. These kinds of symbolic statements can be traced back to ancient times before the fall of Rome and the birth of the middle ages. Symbolism has always played a vital role in society. There would be no society without symbolism. Human beings and their respective clans have used flags, totems and other forms of tribal and religious heraldry to distinguish themselves from each other since recorded history. Markle’s crest had me thinking about my own family’s crest or heraldry. Luckily, after going through some family photos I found one. 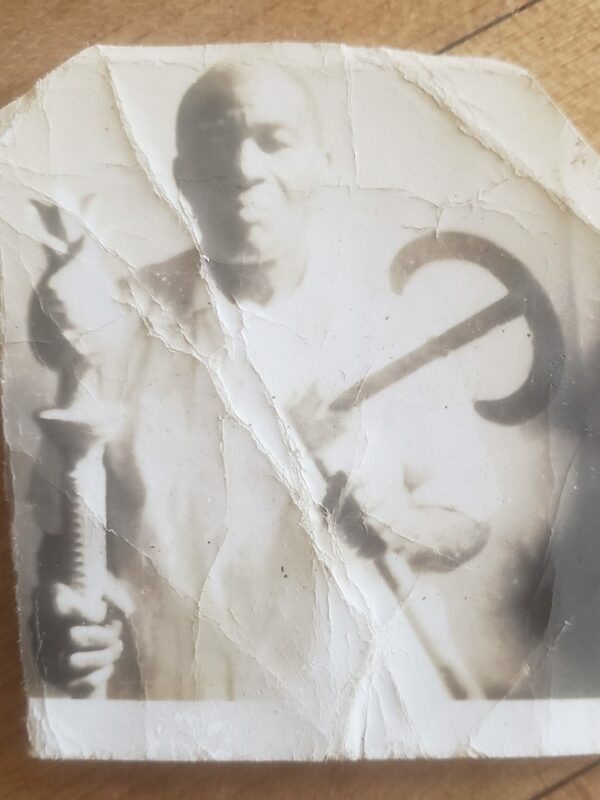 The image is of my great uncle and Paramount Chief of the Pamaka people of Suriname, Grangmang Forster. Pamaka people live on several islands within the country but our main island is Langetabetje. My grandfather, Nikolaas Forster, served as Captain alongside his older brother Grangmang Forster who is holding our tribes symbol or crest in each hand. In one hand he holds a pineapple and in the other a fire breathing dragon. These two symbols are the Pamaka people’s crest. It essentially says; we can either get along, or we can get it on. It represents who we are as a people just like Markle’s crest identifies her family and what she values. When explorers were sent out during Europe’s great age of discovery they were slow to understand the customs and institutions of the people they came across, explained author Marvin Harris in his book; Cannibals and Kings. He writes, “Although the Europeans exaggerated their “savagery,” the majority of these village communities collected enemy heads as trophies, roasted their prisoners of war alive, and consumed human flesh in ritual feasts. The fact that the “civilized” Europeans also tortured people—in witchcraft trials, for example—and that they were not against exterminating the populations of whole cities should be kept in mind (even if they were squeamish about eating one another). Harris goes on to write, “Explorers encountered fully developed states and empires, headed by despots and ruling classes, and defended by standing armies. It was these great empires, with their cities, monuments, palaces, temples and treasures that had lured all the Marco Polos and Columbuses across the oceans and deserts in the first place.” It’s not hard to surmise what influenced knights to create their own coat of arms. In our modern times this practice would be called cultural appropriation. From China to India and South America, explorers found a diverse people with their empires and worlds unto themselves, each with distinctive arts, religions and yes, even heraldry. To believe that heraldry, crests or coat of arms are solely a European invention started during the medieval times, is to deny the mere existence of the people they discovered across the oceans, deserts and jungles of the world. Markle’s crest, in many ways, is the return of the rightful royals of the world. A family crest is more than a pretty design, it’s a deep rooted cultural connection to our past and the cradle of mankind’s identity. This entry was posted in Archives, Culture, Expert Voices and tagged coat of arms, family crest, grangmang forster, heraldry, jeanette lenoir, meghan markle, pamaka people, royal family, suriname on July 13, 2018 by jlenoir. Most people who hear the name Suriname will likely ask you where the country is located. Suriname is a mystery to a lot of ordinary Americans despite it bordering Brazil; the country just about everyone on planet earth knows and loves. Understandably, Suriname does not project ideas of Fantasy Island, sandy beaches with blue water type of get away destination for tourists. However, when you get to know this unique place, its people and culture, you’ll wonder why the rest of the world always asks: Where is Suriname? 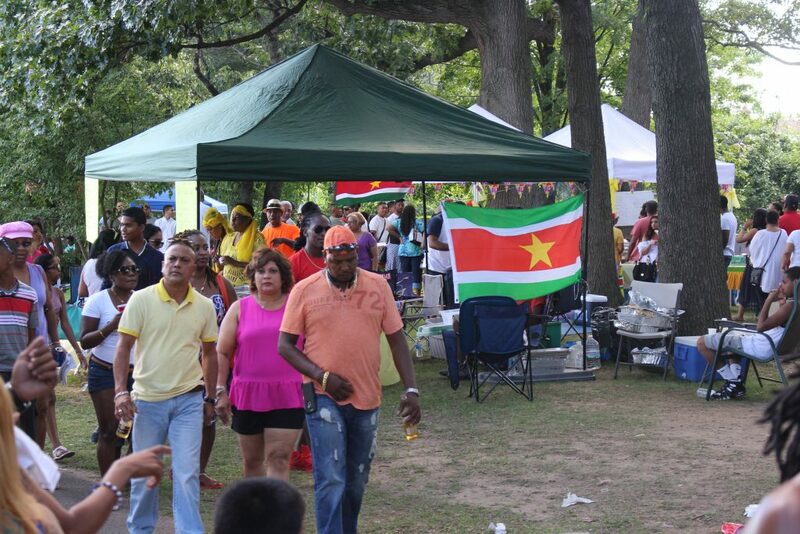 Despite it being a relatively unknown location in South America, Suriname is celebrated every year in Queens, NY. 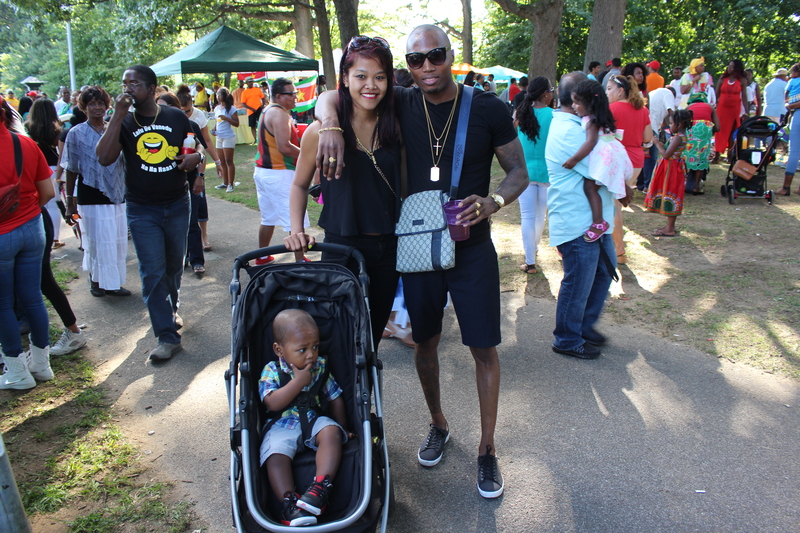 Sranang Dei or Suriname Day just marked its 40th annual celebration in Roy Wilkins Park. The event is typically held in early August. This year it happened on the 7th. Our nation, currently going through a very sensitive period with issues like police brutality, racism and divisiveness amongst its people, it is calming to know that America is still beautiful, still unique and still the great melting pot of the world. 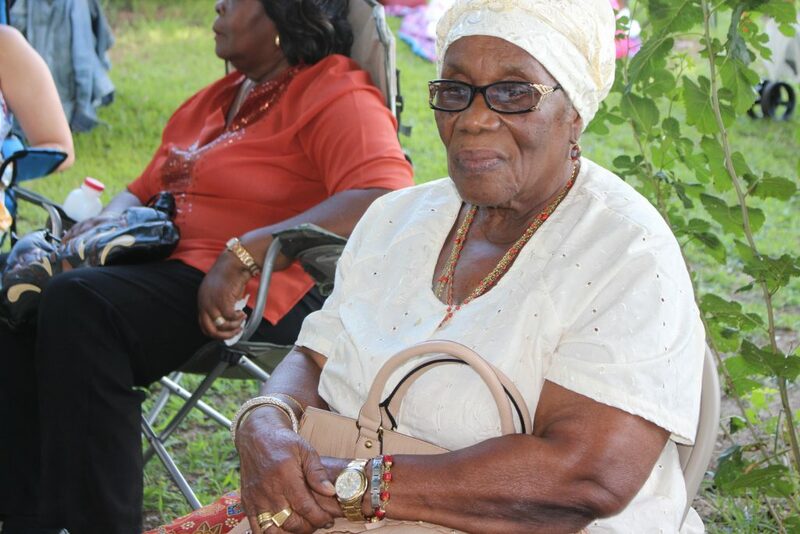 We celebrate culture, all cultures, despite what you may hear in main stream media, and Suriname Day fits right into our identity as Americans. Suriname, located on the northeast coast of South America, can also be seen as a melting pot of cultures and people. The country is made up of immigrants from India, Indonesia, the Island of Java, Japan, China and Africa just to name a few. The indigenous population of Arawak and Carib Indians, although small in number, represent a large part of Suriname’s culture and identity. And although I loathe the term, Maroon, (due to its origin) this group of former escaped slaves also call the interior of the country home, and also represent the heart of Suriname. Suriname Day brings all these people out for a day of celebration and togetherness. 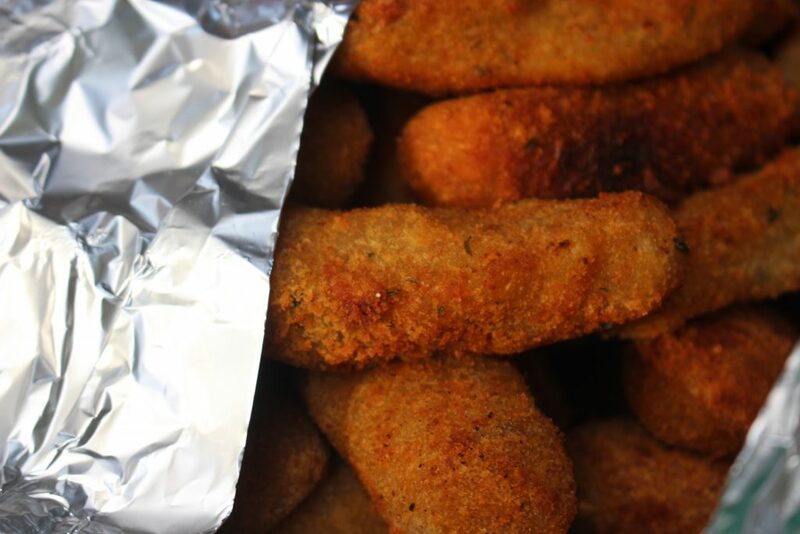 It’s also a great opportunity for them to enjoy traditional foods, games and music. What is special about this celebration is that it takes place right here in the great state of New York. And, you certainly don’t have to be Surinamese to come out and enjoy the festivities. These are the traditions and customs that bond us as one nation of people. This is American Culture. This entry was posted in Archives, Culture and tagged american culture, culture, epluribus america, suriname on September 14, 2016 by .